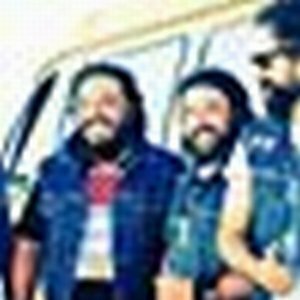 The rap-metal band Molotov formed in 1995 in Mexico City, comprising singer/guitarist Tito Fuentes, bassists Mickey "Huidos" Huidobro and Javier de la Cueva, and a drummer known as La Quesadillera. By 1996, Paco Ayala had replaced de la Cueva and Randy "El Gringo Loco" Ebright became the band's new drummer. Molotov's 1997 debut LP Donde Jugaran Las Ninas? was a hit with both Spanish- and English-speaking audiences, earning a Grammy nomination for best Latin rock-alternative performance. The remix collection Molomix followed a year later, and in 1999 the group returned with Apocalypshit, produced and recorded by Mario Caldato, Jr. (the Beastie Boys). Two and a half years later, Molotov followed with their third album Dance and Dense Denso.